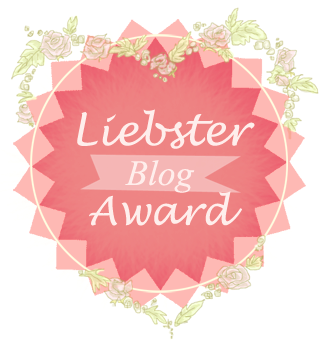 Thank you very much http://alittlepieceofdriftwood.blogspot.co.uk for nominating me for this award! Put a link to who nominated you and answer their questions. Create 11 new questions and nominate some new bloggers. 1. What are your new year's resolutions and have you been keeping them? I did a blog post on this - I think it was actually my first one - but my New Year's resolutions are to keep up a blog, spend less time watching Youtube and to stop worrying about things that aren't worth fretting over. So far, I have kept up my blog and I am really enjoying do so; I have cut down on the amount of Youtube that I watch and I am working hard to do the last one. 2. What is your favourite quote? I just love the one that my blog is inspired by, 'Life is like a camera, focus on what's important, capture the good times, develop from the negatives and if things don't work out, take another shot' - I'm not sure if that is a quote as such but I love the saying. I also like, 'If we are all thinking alike, then no one is thinking at all' - Benjamin Franklin. 3. Who is your favourite actor/actress? Emma Watson is mine because I loved the Harry Potter series and I grew up watching that. Any films that she's in, I have to go and see. 4. Do you prefer music or reading? I am trying to read more and I enjoy reading but I'd have to say music. It is my little escape, when I put in my headphones. I'm quite into music, a bit of mainstream but most of the time, I listen to alternative stuff. 5. Which is your favourite item of clothing in your wardrobe? It's my kimono from New Look and I am currently wearing it all the time. It's featured in my collective haul and is very versatile. 6. Where in the world would you most like to live and why? The south of France, it's so beautiful and I have many fond memories of there. 7. Do you believe in soul mates? I'm not sure about this one, I mean I do believe in it but I'm not too sure about the whole significance of them. 8. Who was the first person you thought of this morning? 9. What was your favourite subject in school? I love languages, from a young age I was interested in learning new phrases or words that I can use abroad. The ones I'm best at are German and French. 10. What do you love most about yourself? I'm going to assume this means a certain trait that I have and that is my determination. 11. What inspired you to start a blog? I think it was me watching a lot of Youtube and reading blogs that inspired me. I just loved the idea that you could have your own little space to share views. Also, I always wanted to keep a diary, to document what I get up to but I've tried that for many years and I wasn't very consistent. With this, I feel like I enjoy writing posts and I can come back to this, to see what I was doing at this time of my life. I know not all of my posts are lifestyle related but I can still look back. What do you love most about blogging? Who do you look up to? What is your favourite pass time? What is your favourite season? When are you the most at ease? What is something that made you smile today? Can you describe your craziest dream? What was the last book that you read? What are you future aspirations? Can you blame bad grades on bad teaching? Autumn Primark and Superdrug haul!